Excellent product、customer satisfaction with excellent customer service, that's what we give, expect and get, by providing high quality Compressor Spare Parts and worldwide partners. YI GUAN PRECISION CO. LTD is the leading manufacturer, supplier and exporter of Compressor Spare Parts in Taiwan which are designed using high grade raw material that is sourced from our respected vendor base, having years of experience in the market. 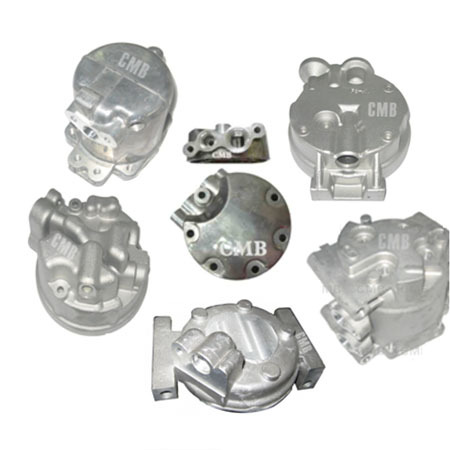 In addition to manufacturing them in standard dimensions, we also offer our customers the option of customizing these products as per their specific requirements. Our produce is available at very reasonable prices. Rear Heads suit for Calsonic, Denso, HCC, Mitsubishi, Panasonic, Seiko Seiki, Sanden and Zexel compressors.